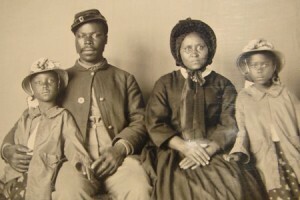 We begin the show with a spotlight on “Faces of Freedom: The Upper Chesapeake, Maryland, and Beyond,” a project (including an exhibit, performances, and lectures) that commemorates the 150th anniversary of the adoption of the Maryland Constitution of 1864, which ended slavery in the state. The initiative, organized by the Hays-Heighe House at Harford Community College, focuses on freedom, slavery and emancipation before, during and after the Civil War. The centerpiece of the project is a play, Susquehanna to Freedom. Our guests are: Iris Leigh Barnes, coordinator of the Hays-Heighe House; and Dr. Dorothy E. King, the playwright, who is a professor at Penn State University Harrisburg.Susquehanna to Freedom will be performed twice on April 4 – 1:00pm and 7:00pm – in the Chesapeake Theater at Harford Community College. Admission is free, but tickets are required.